Claytex will be exhibiting and presenting at the LCV2016. 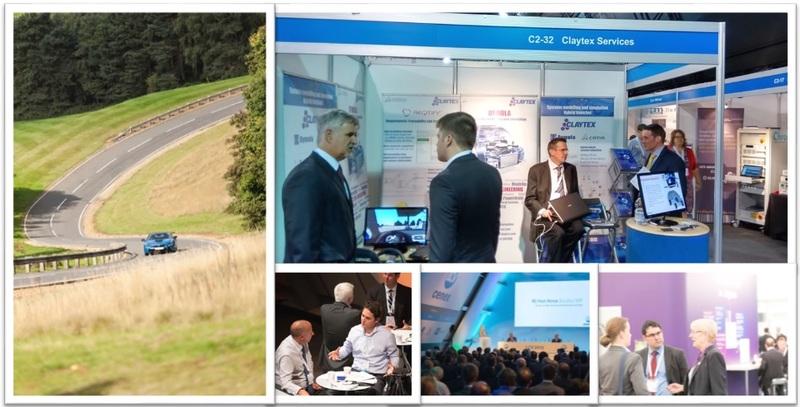 Last year, Claytex was chosen as one of the ‘Top 10′ Exhibitors of the Low Carbon Vehicle Event 2015. The show was amazing in 2015 and our stand won’t disappoint this year either as we’ve got a surprise up our sleeves. On our stand, we will be showcasing how rFpro and Dymola can be used to support the development of ADAS (Advanced Driver Assistance Systems) and autonomous cars. We will have a driving simulator that uses a Dymola vehicle model and rFpro demonstrating this capability. Using rFpro to provide the virtual test environment we can support driver-in-the-loop and provide data feeds to the array of sensors (cameras, LiDAR, radar and ultrasound) all based off the same high-fidelity track model. The presentation will look at how we can achieve virtual testing of the complete vehicle system using rFpro to provide the virtual test environment, Dymola to model the vehicle systems and we will also cover how the control systems can be incorporated using SiL and/or HiL environments. Models created in Dymola are built up using physical models which means they are able to predict the behaviour of the system which, in turn, means they can be used earlier in the design process. It’s not necessary to wait for test data to be available to start using simulation. The use of rFpro as a virtual test environment allows engineers to carry out testing even when a vehicle is not available and also allows the conditions to be 100% repeatable whilst maintaining the human in the loop. rFpro is a scalable solution supporting a single PC configuration through to full motion platforms. Meet with us to find out how Claytex can help you with your modelling, simulation and virtual testing requirements.